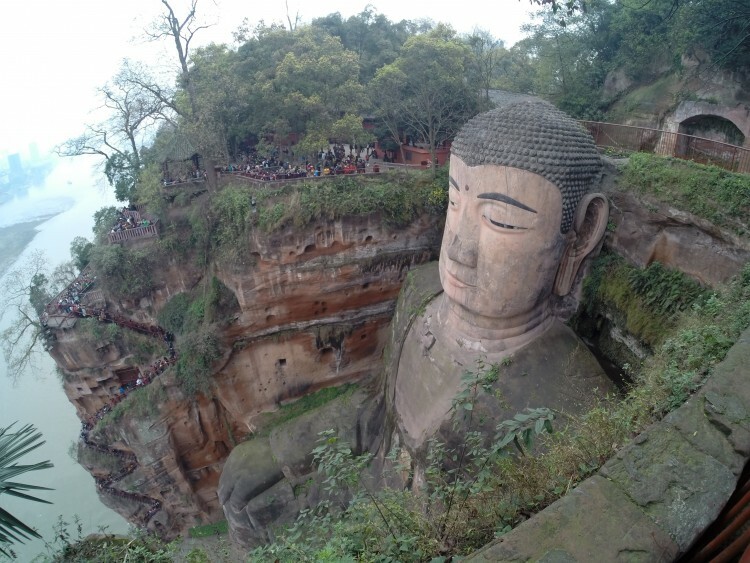 The Leshan giant buddha is the largest buddha in the world, located in de middle of China. The giant buddha is carved out the rocks in the forest. The peacefull forest and the big buddha make this place to a special place which we recommend to visit. 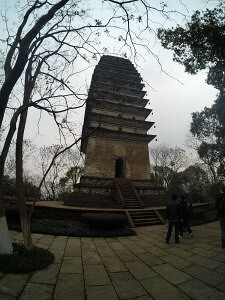 We went from Chengdu to Leshan and back to Chengdu in one day. Which was clearly enough for us, we don’t think you need more days to spend in Leshan. Hostel: Leshan is only a two hours ride from Chengdu. Book a trip at a hostel or buy your own tickets for the bus. We bought our tickets at the Hello Chengdu International Youth hostel. 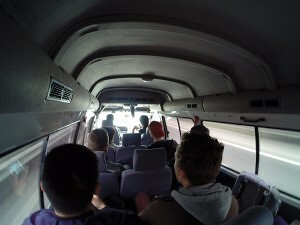 We were lucky to book a trip together with 8 other participants which makes the trip quite cheap for us. Take Bus Nr. 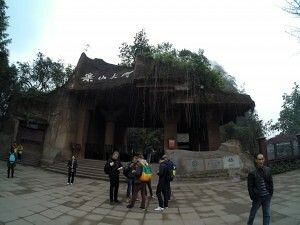 13 from Leshan busstation to the Grand Buddha. 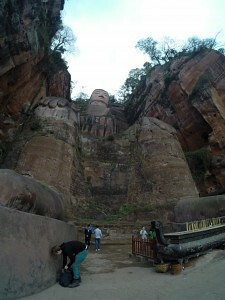 The Giant Buddha of Leshan was carved out of the rocks 1200 years ago. The Buddha is 71 meters tall and was build to calm down the rivers which lay in front of the Buddha. You can choose for a boat tour to see the Grand Buddha from the rivers. We just walked to the Buddha over land, which was good for us. Unfortunately many people do, which causes long queues at the stairs next to the Grand Buddha. 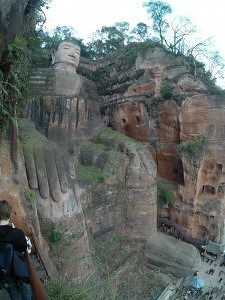 Ticket for Leshan Giant Buddha park: 90 RMB (± €13), students get 50% discount if you show your student card. 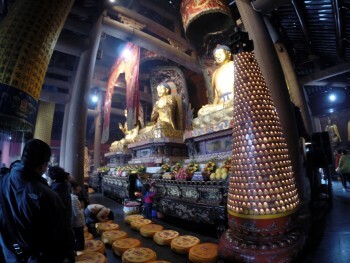 You need to climb the stairs for around half an hour to see the Grand Buddha. There is also a nice monastery and peaceful forests to walk through. 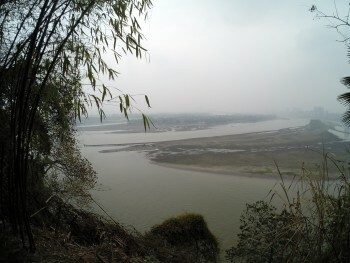 Ticket for boat tours: 70 RMB (± €10), 30 minute round trip which leaves from the Leshan dock.